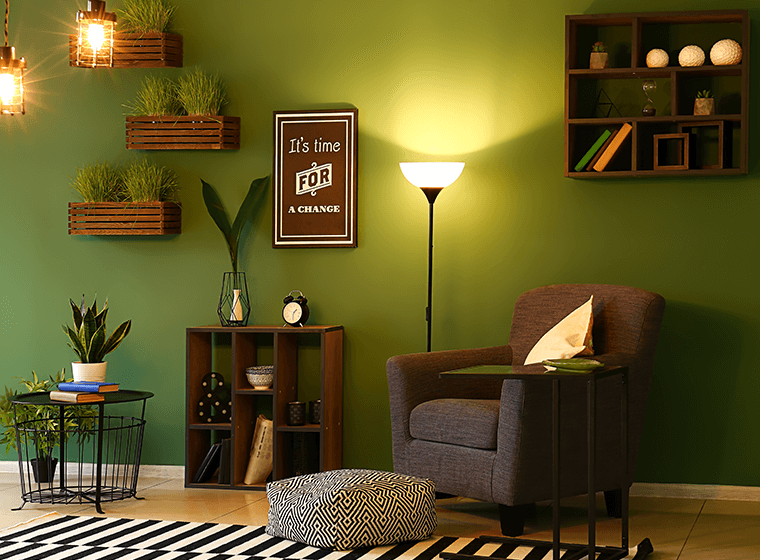 Green is always a great color for any space, but the shade you choose makes all the difference. For a living room, there’s no shade better than olive! Olive green is a gorgeous color that really brightens up a space, but also keeps things cozy and sophisticated. It’s unique in the sense that it’s quite vibrant, but still has that warm, cozy feeling. 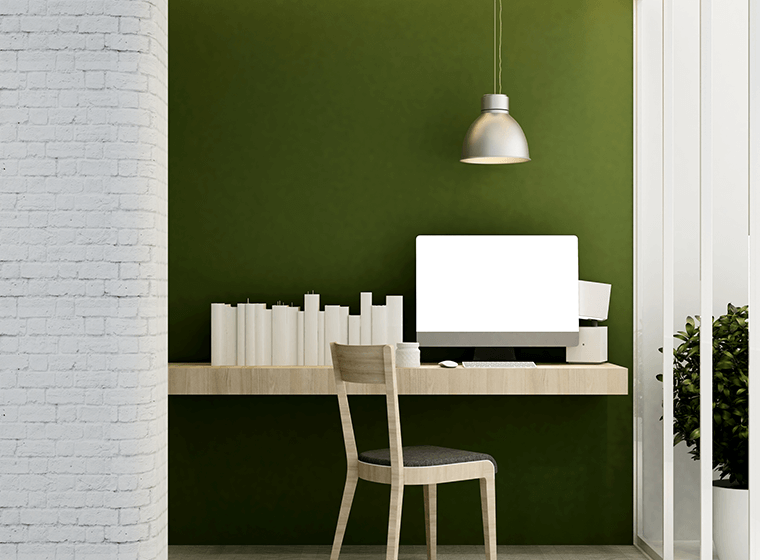 If you typically go for neutral colored walls, painting them a brighter shade of green might seem a little intense. But what makes green so special is that even though it’s a color statement, it can also act as a neutral. 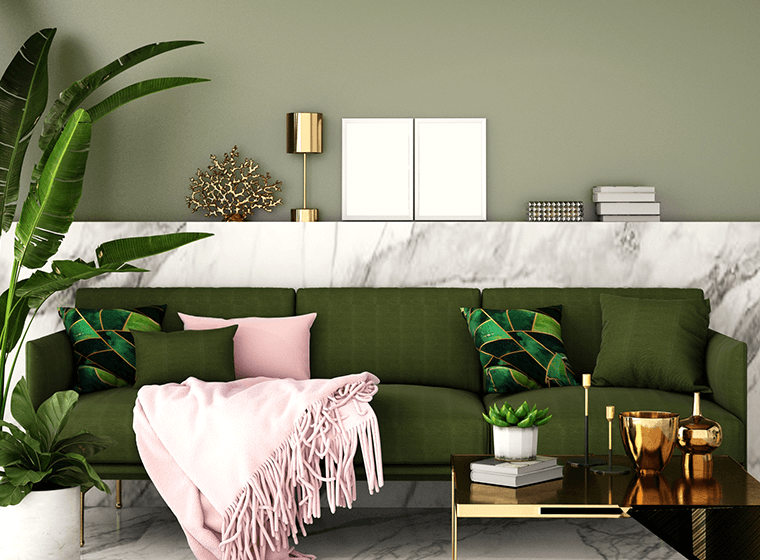 This means you have a ton of great options when it comes to choosing which colors to add into your olive green living room. If you’re not quite ready for an all olive space, that’s okay! 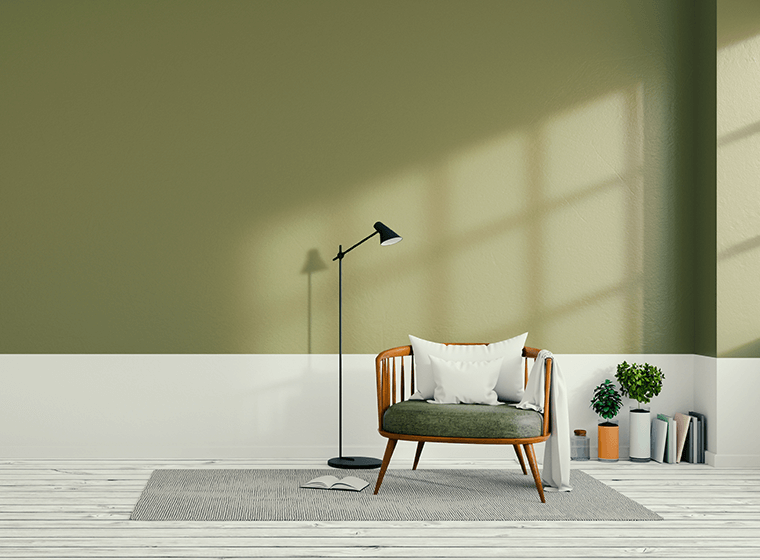 You can still give your living room a splash of color by going with an olive green accent wall. Look around your room and decide which wall you want to be the focal point when you walk into the space—that’s the one you want to paint as your accent wall. In most cases, you’ll want to keep the other walls a softer neutral color, like beige, creamy white, or brown. 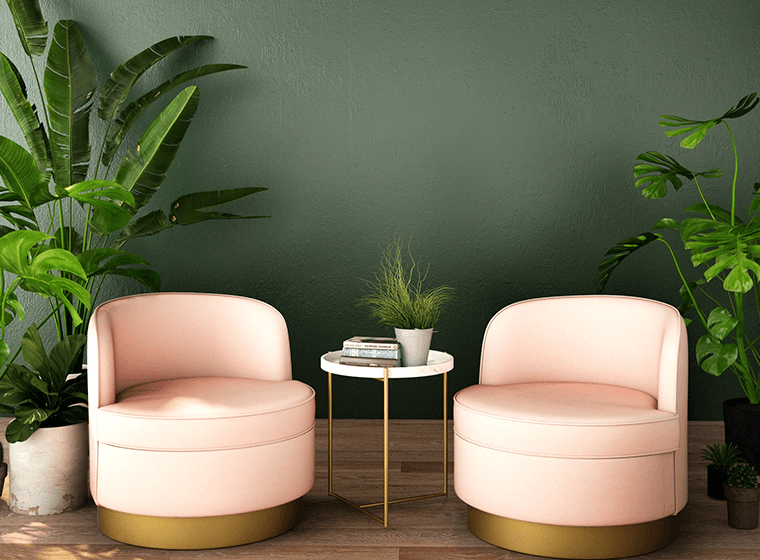 What colors go well with olive green walls? Green pairs really well with both warm and cool tones, which makes it quite versatile. Olive green does this particularly well, thanks to its earthy quality. If you’re ready to make a bold statement, go for a shade of light olive green as an allover wall color in your living room. The color palette you choose really depends on the feeling you want to bring out in the room. When paired with beige, brown, cream, and natural wood tones, olive green gives your room a chic, modern vibe. This color scheme works particularly well with mid-century modern design. Mix in lots of natural elements to create a balanced, sophisticated look that still feels comfortable and cozy. If you want a little more drama in your living room, you definitely don’t have to stick to soft neutrals. Olive green and black pair beautifully together to create a more moody feeling in the space. If black feels a bit too heavy for your room, try pairing olive with navy blue or a deep purple color. 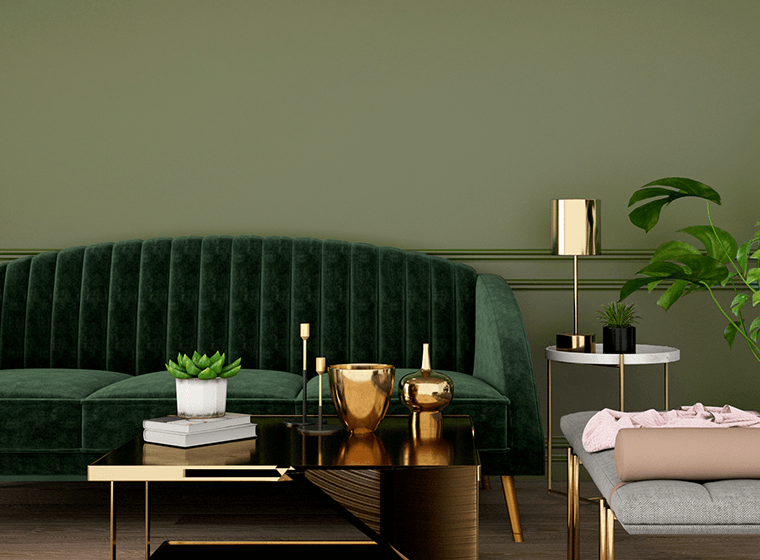 These rich colors create an ultra-sleek look for a formal living room that is sure to spark lively conversation amongst your guests. Another classic option is to keep things simple and pair your olive green walls with crisp white. This allows the green to really stand out and keeps the space light and airy. Allover olive walls look great when paired with white trim and white tables, shelving, and decorative accents. Add in a plush sofa in a neutral color like soft brown or gray and you’ve got a room that feels like a fresh spring day.